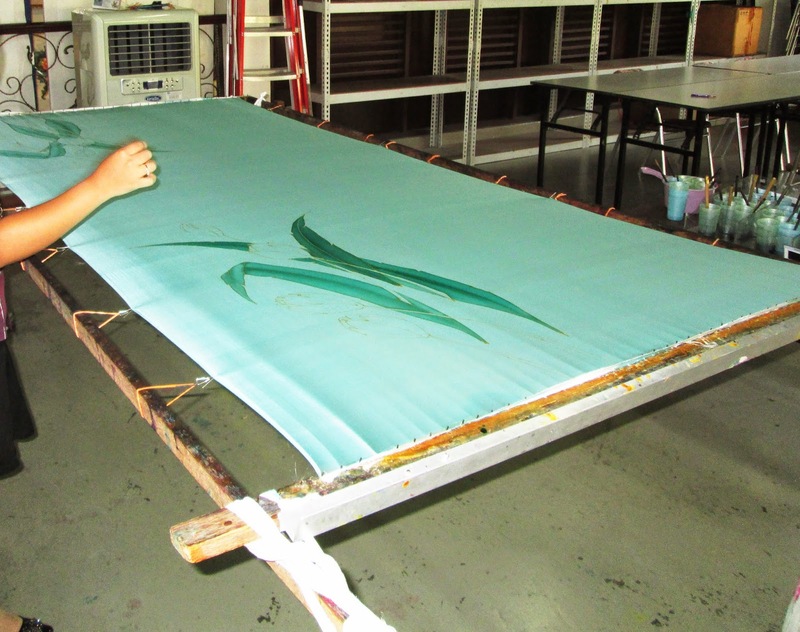 Batik is a method of design using wax resist. The origins of this design technique remain unclear. We know this process dates back to Egyptian times, nearly 2,000 years ago, from samples found in Egyptian tombs. Some believe SE Asian batiks originated in India as India produced the fine cotton necessary for the fine detailing of the designs. Motifs were inspired by culture, religion and nature. There are few contemporary batik motifs, instead the tradition continues with the continued use of traditional designs. 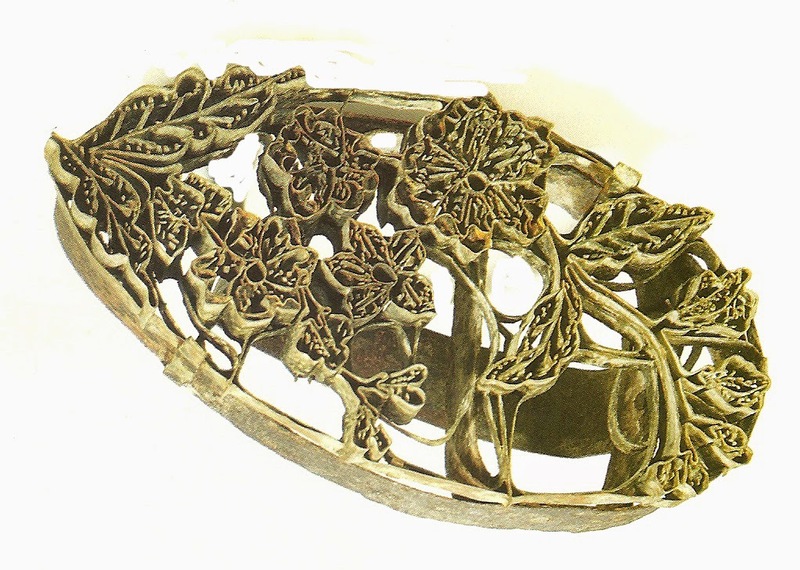 One method of applying the resist is the use of a “canting”(Tjanting), a small copper vessel with a spout, resembling the bowl of a pipe with an attached handle. Cantings may have more than one spout in parallel. The bowl is filled with the molten wax (made from beeswax and paraffin) and holding the tool like a stylus the artist draws the design with the wax flowing from the spout. 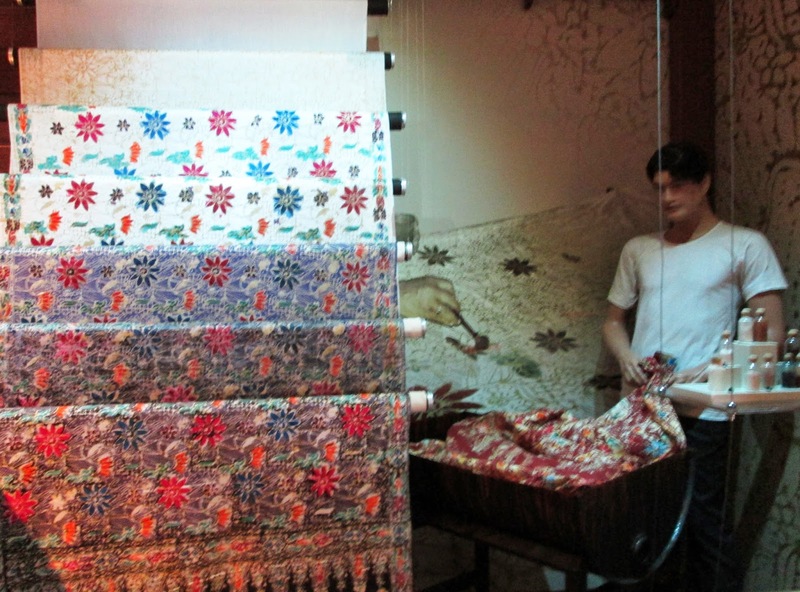 This type of batik is referred to as Tulis, meaning to write or draw. 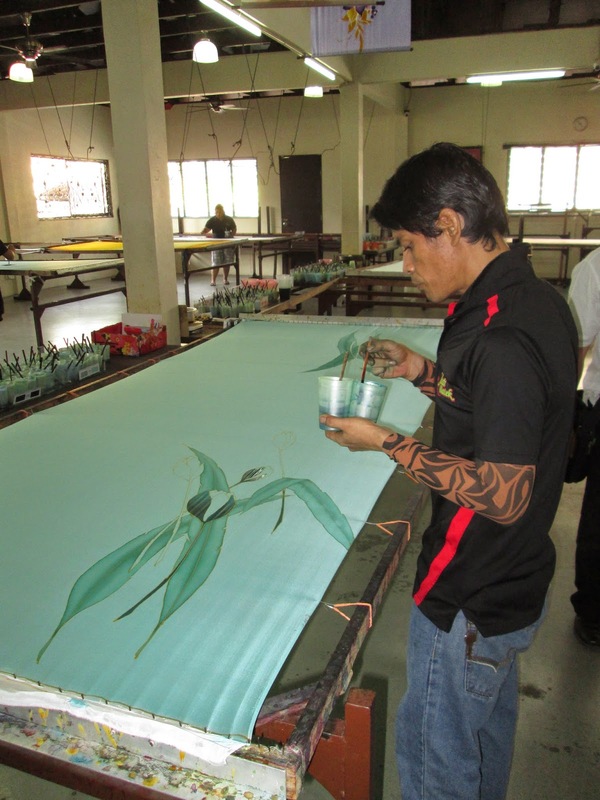 Since true batik is reversible, the waxing process must be repeated on the reverse side. 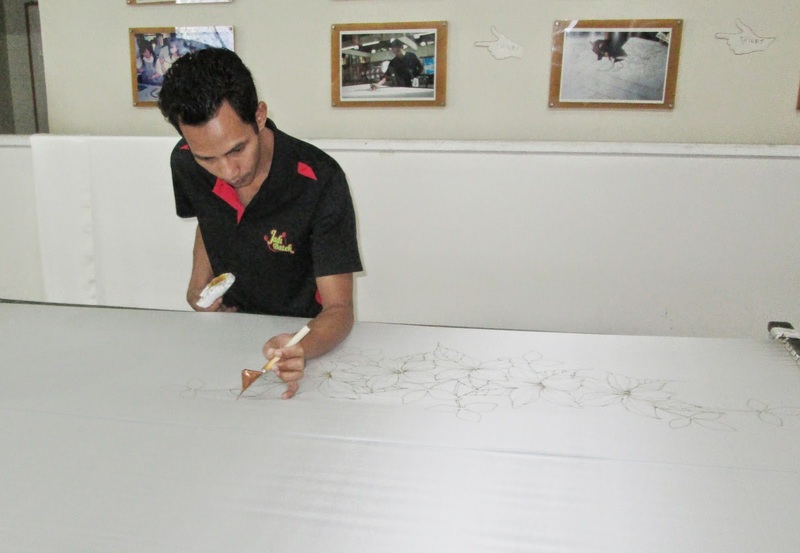 The artist draws freehand and, therefore, Tulis batik may be very intricate. 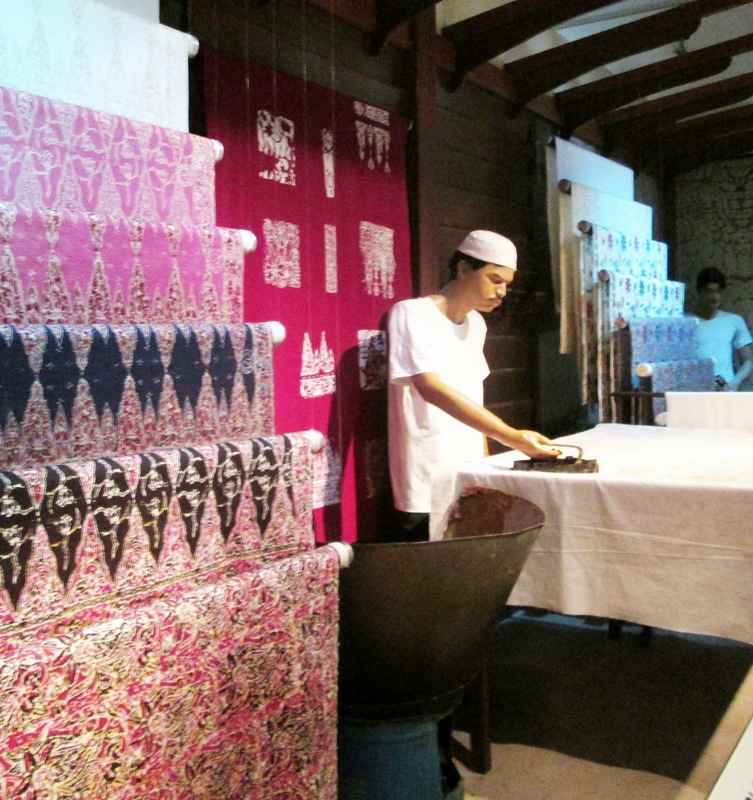 After the waxing, the first dying is done using a combination of chemical and natural dyes. After the initial dying, wax from the areas next to be dyed is scraped away or reapplied for additional dyeing. Once all color has been applied the fabric is washed and soaked in as fixing solution. Thorough rinsing follows and a boiling water bath melts remaining wax, which is then saved.